From FreeCAD, to prototypes, to a launch on Kickstarter! 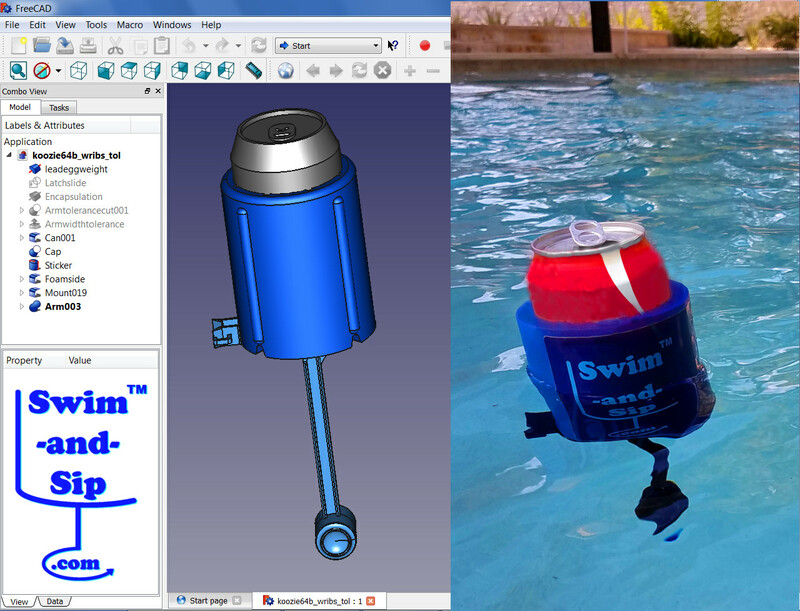 I used FreeCAD (V .15, Win 7) to develop the design for a newly-patented floating koozie. 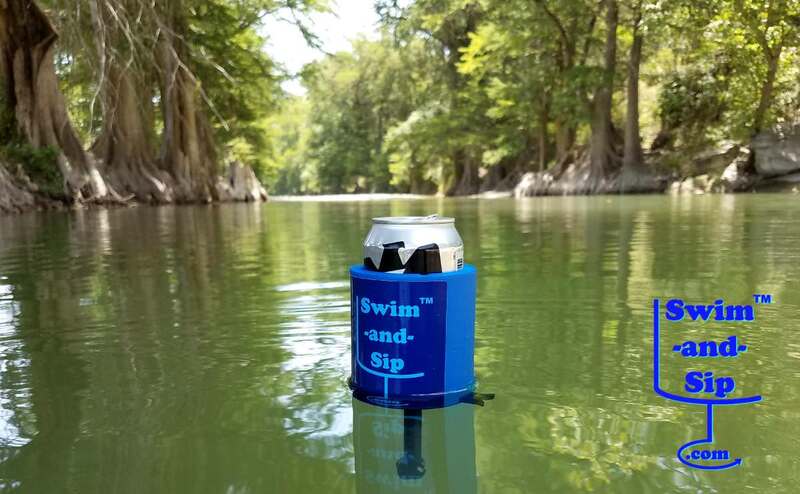 It uses a pivoting ballast arm to keep a drink upright in the water. The arm then folds up so it can sit flat on land. After 64 iterations of the design in FreeCAD, and a number of 3D prints, the design is ready for the market! It's been fun to use the project to get up to speed with FreeCAD. I still struggle with the Parametric concept sometimes. Such as subtracting copy of a complex object with many dependencies from another object, and ending up with an exponentially-growing number of dependents and a massive file size...but I'm getting better! I've 3D printed the most recent design and it works!! I posted it to the FreeCAD subreddit and it was suggested I post here! I always have issues with cup coolers, I like Coors Light and the darn can is a different size than all the others. Thanks! Yes, I've had some fun with it. And some late nights on FreeCAD-it can be addicting. I've gone through 4 different 3D printing suppliers before getting that final durable prototype. I'm definitely also frustrated by all the different can sizes. Don't worry, once I'm in production, the Coors light size will be next! Amazing project! Congrats and thanks for sharing! Very cool. Good luck with the Kickstarter campaign.